Issue 186 takes us deep inside the team TwoTwo Motorsports camp as Michael Byrne takes to the track on one of the most famous Kawasaki teams on the planet. From there we go deep into the Romanian forests for the Red Bull Romaniacs and take then take it down about 50 notches and take Suzuki’s V-Strom 1000 ABS for a spin in beautiful Victoria. We get the inside line on the state of supercross in Australia from the guys that know and return from a week at the Four day Enduro with some sweet images of one of the great A4DEs. 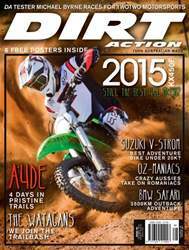 State motocross, BMW Safari, Watagans Trail Ride and a test on the CRF250X are just a taste of what graces the rest of the mag so what are you waiting for? 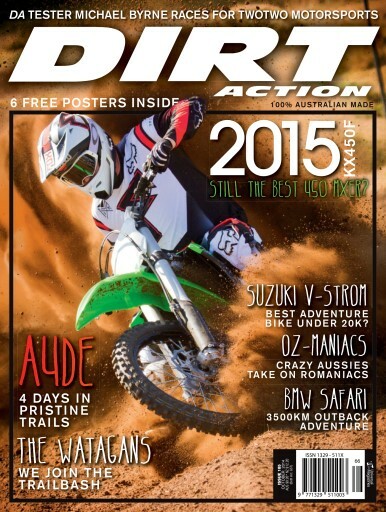 Drop the clutch and start reading…braaaaaap!